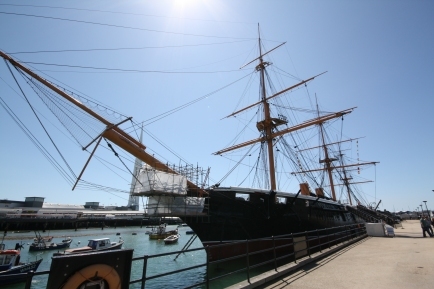 HMS Warrior. A 149 year old ship. Awesome. So a trip to Portsmouth was had to see HMS Victory, which some few-hundred years after its creation is still the official flagship of the Royal Navy. Cor blimey! There were more impressive things than Victory on display, as it turned out, but still. A pretty good day out, gallery of ships (including some average shots of a couple aircraft carriers) here.